How does a dry herb vaporizer work? 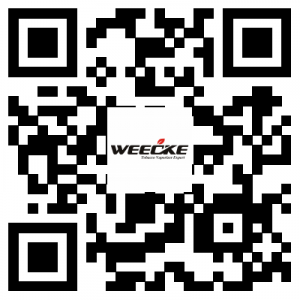 Weecke’s vaporizers are some of the most useful items that a smoker can have. Vaporizers heat your “herbal material” until it hits a temperature that turns active ingredients into a light, inhalable mist. Studies suggest that vaping is less harmful for you than smoking, because lighting things on fire throws off toxins that you really oughtn’t usher into your lungs. Weecke dry herb vaporizers make enjoying your herb of choice a lot easier and safer, not to mention less bothersome to all those folks around you that always complain about you smelling funny too. Weecke dry herb vaporizers are a smokeless system that heats up herbal material like tobacco or medical marijuana, but doesn’t actually cause them to burn. Instead, it causes the essential oils, which contain the active ingredients of the herb, to boil until it actually creates a vapor that can be inhaled for, so that you can get the same effect as if you were smoking it, but with a hell of a lot fewer harmful effects. It’s so much healthier for your lungs to vaporize with a portable herb vaporizer than traditional smoking.